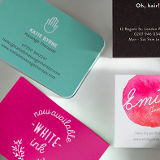 Printed.com provide a range of printing services and stationary including business and special occasion printing with a variety of delivery services to suit your requirements. On offer are premium quality but low cost digital printing service offering trade prices to both the public and business backed by a digital print guarantee. Customers can buy digital printing work with UK delivery and with 24h express delivery options. As well as quality printing Printed.com also offer a full reprint guarantee or full refund if you’re not fully satisfied with the order. On top of the low prices you can collect and claim points for every pound you spend that can be spent on orders or exchanged for purchases of anything from iPads to DVD players. Printing services include wedding stationery such as invitations and menus plus a range of Business cards, flyers and leaflets all using the latest state-of-the-art printing plant which promises the highest quality, low costs and value for money. The Printed.com team is available from Monday to Friday between the hours of 8:30am to 6:30pm. You can get in touch by email or phone for order queries, product information and delivery services. There is a selection of delivery options to give you flexibility depending on how quickly you need your printing work, you can choose from standard 2 to 3 day delivery to a express next day courier service offering delivery by 12pm the following working day to ensure your order arrives just as you need it. See the printed.com website for a full list of delivery options and costs.